Delivers moisture to transform coarse hair from dry and frizzy, to soft, smooth and shiny. Adds control and weight to aid styling making it perfect for coarse hair that does not hold a style. Reduces breakage caused by snapping – Re-Moisturizing Shampoo contains the same ingredient as Elasticizer, Hydrolyzed Elastin, which increases hairs ability to stretch, meaning less breakage occurs. 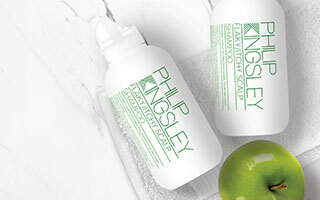 For coarse textured, or very wavy, curly or frizzy hair. Also suitable for Asian, Oriental and similar hair types. Cleanses gently whilst moisturizing, leaving hair soft, supple and shiny. Re-Moisturizing shampoo contains Elastin to improve the hair's tensile strength, elasticity as well as its ability to retain moisture. The addition of Guar provides natural smoothing and conditioning effects. The diameter of coarse hair is the largest of all textures, which makes it more prone to moisture evaporation and dry ends. The best products to use are those that are labelled as ‘re-moisturizing’, ‘moisturizing’ or ‘smoothing’ and those that tame frizz. If you have coarse hair you may be reluctant to wash your hair more than a couple of times a week, as it can be difficult to style. However, frequent shampooing is recommended for all hair textures as it promotes the optimum scalp environment for hair growth and also keeps your hair in good condition! It is in fact water, not oil content that keeps your hair supple and moisturised. 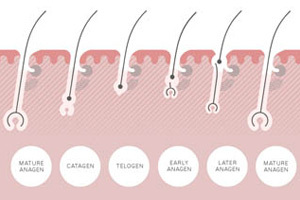 Individuals with coarse hair tend to straighten their hair more often than other hair types, as it can be frizzy and very time-consuming to style. However, frequent or incorrect heat processing can be extremely damaging and so you need to use styling products that help protect your hair. Due to coarse hairs’ propensity towards dryness, we recommend you use a pre-shampoo conditioner, such as Elasticizer Extreme, once to twice a week. However, if you bleach or frequently heat process/straighten your hair this should be done twice weekly to reduce associated damage and breakage.